According to new research in the journal PLOS ONE by scientists at the Smithsonian Tropical Research Institute (STRI) and Panama's government research institute, INDICASAT, mosquitoes in the genus Aedes, which carry a group of dangerous viruses causing yellow fever, chikungunya and Zika, invaded the crossroads of the Americas multiple times, by land and by sea. "With increasing globalization, human movement and connectivity, the capacity for human-associated organisms to invade and proliferate is on the rise," said Jose Loaiza, research associate at STRI and staff scientist at INDICASAT, who led the study. "As a major shipping route, important in the trade of goods across the world, Panama's connections make it an important gateway for invasive stowaways, including Aedes." Researchers studied the genetic diversity of two of the most dangerous mosquito species, Ae. aegypti and Ae. albopictus to find out more about where they came from. They randomly chose homes about 2 kilometers apart for the presence of adult mosquitoes and developing immature stages in water-filled containers. 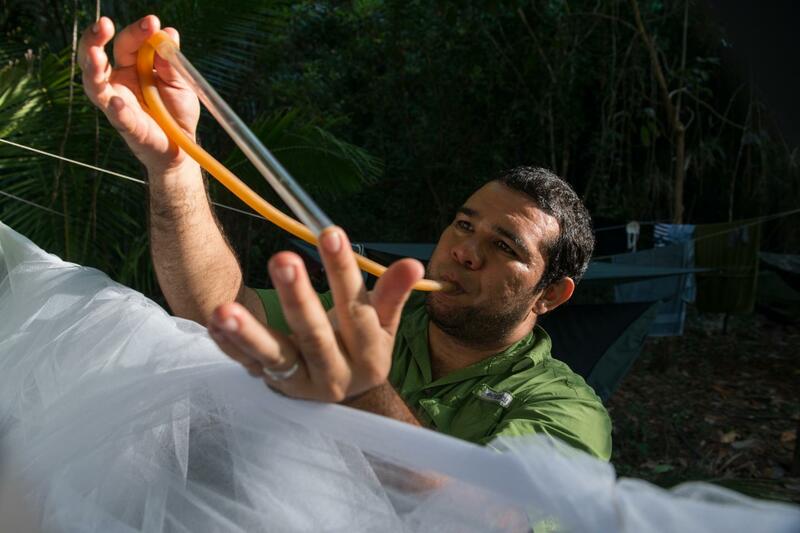 In total, they sampled mosquitoes in 30 different locations across Panama's 10 provinces. By sequencing the mitochondrial DNA from 122 Ae. aegypti and 117 Ae. albopictus, they began to understand how these disease vector species came to be in different areas. The highest values of genetic diversity were in central Panama, where the country's two major cities, Panama City and Colon, are located and linked both by the TransIsthmian highway and the Panama Canal. Genetic diversity was also high near the Costa Rican border. The lowest diversity was on the drier, remote Azuero Peninsula, where several of the molecular lineages were entirely absent. "High genetic diversity in the more connected areas of Panama indicates that transport networks may facilitate the mixing of different molecular lineages," said Kelly Bennett, post-doctoral fellow at STRI. "Based on the patterns we observed, it is likely that invasion into Panama hasn't only occurred once, but multiple times and possibly from different source populations. The high diversity of mosquitoes in central Panama where more than 250 species have been reported, may make it difficult to control incoming diseases by controlling the mosquito vectors." First reported in Panama in 1912 during canal construction, the appearance of Ae. aegypti coincided with devastating yellow fever epidemics. It was met with a draconian eradication program in the former U.S. Canal Zone. Aggressive spraying with chemicals including DDT eliminated this species. Since then, Ae. aegypti has re-established. The two lineages of Ae. aegypti observed may not only reflect the history of their invasion across Panama, but also the genetic diversity they accumulated in the past within their ancestral home ranges. The first lineage was closely related to mosquitos from Colombia, Brazil, Mexico and the U.S., suggesting that there have been separate, recent invasions from the north and south. The Asian tiger mosquito, Ae. albopictus, shows a similar history of multiple introductions. This mosquito speices was first collected in Panama in 2004. The most frequent molecular lineage in Panama is most related to European populations and is uncommon elsewhere in the Americas. The two other lineages of this species were most related to mosquitoes in Costa Rica and the U.S..
"The ability of Aedes mosquitoes to expand around the world has been linked to increases in international travel and also to the development of an international market in used tires," said Loaiza. "The initial invasion of the tiger mosquito in the Americas and its subsequent appearance in Brazil and in South Africa is linked to the importation of tires from Japan." At least in Panama, the spread of Ae. albopictus is more related to the presence of roads than to population density, land use or climate. Because one lineage of Ae. albopictus in Panama is very related to European populations, this could have implications for the introduction of emergent arboviruses like chikungunya and Zika from Europe into Panama. "Mosquito species and their associated disease threats, which were once confined to a single geographic area are now of global concern, because they have hitchhiked on our worldwide transport networks," said Owen McMillan, STRI staff scientist. "The genetic diversity we observed reflects the history of the invasions of Aedes in Panama. The result, that the mosquito population harbors high levels of genetic diversity, has consequences for mosquito-borne disease. It can influence the ability of these mosquitos to spread disease, adapt to new environments and to develop resistance to different eradication strategies." "A better understanding of invasion routes helps us assess the threat from emergent mosquito-borne diseases and predict disease outbreaks," Bennett said. Authors include Gilberto Eskildsen from Panama's Instituto de Investigaciones Científicas y Servicios de Alta Tecnología (INDICASAT); Jose Rovira, INDICASAT, STRI; Octavio Smith, Centro del Agua del Trópico Húmedo para América Latina y el Caribe (CATHALAC); Matthew Miller, University of Oklahoma, INDICASAT, STRI; Kelly Bennett, STRI; Owen McMillan, STRI; and Jose Loaiza, INDICASAT, STRI, University of Panama.